With a wealth of knowledge our team combines years of experience with modern equipment and up-to-date treatments to offer the best physiotherapy in the Isle of Wight. As a private practice, we focus on delivering a service that is second-to-none delivered at the times you need it most. We aim to see patients within 24 hours, so if you don't want to wait weeks to see your GP and then weeks to see an NHS Physiotherapist, call PhysioCare TODAY! All appointments are up to 40 minutes in duration and, for your convenience, we accept payment by credit/debit card (including AMEX), cash or cheque. Research has shown that 70% of people gain relief from pain with acupuncture and, frequently, good results are achieved when more conventional medicine has failed. 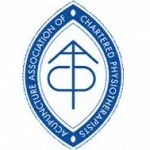 All physiotherapists trained in acupuncture are registered with the Association of Chartered Physiotherapists in Acupuncture (AACP) and continually update their professional development each year. Many people when they think of core-strengthening think ‘Pilates’! Pilates is designed to help build core strength, but also to develop balance and flexibility. Our physiotherapists are able to give instruction and prescribe modified versions of Pilates, which are specific and tailored to the individual and their particular problem. These exercises involve working the deep muscles of the abdomen, back and pelvic floor, which are often the reason why many people suffer back pain. We are also able to incorporate a specific yoga programme to facilitate an individual’s rehabilitation. Electrotherapy is machinery that is used in Physiotherapy as an adjunct to treatment (for example, ultrasound). We are also able to loan patients a TENS machine (Transcutaneous Nerve Stimulation) to help block pain signals from the brain. If a trial is successful, we have TENS machines in stock for clients to purchase. Workplace injuries are higher than ever, so to prevent staff injuries and time off sick, we offer advice about choosing office and work furniture with measurements. If you are an employer, a full ergonomic or workplace assessment can be done in clinic or within the workplace. We have a designated Physiotherapist who is able to visit clients at home and PhysioCare is the only company to offer this service Island-wide. Prices range from £65.00 to £85.00, depending on location. We undertake a lot of Medico-legal work from either Solicitors or Intermediary Companies. This requires a report to be done at the start and end of treatment. Many of our patients have been involved in an accident and require rehabilitation. Poor posture is the reason why a lot of us suffer spinal pain. Modern day lifestyle results in many of us adopting poor sitting positions over various electronic devices. Posture re-education is at the heart of physiotherapy and with simple advice and awareness this can be greatly improved along with exercises. Whatever your level of participation, from elite to recreational sport, formal or informal physical activity programmes or just occasional leisure activities, you should gain advice to enable you to participate safely. A physiotherapist will be able to advise you on specific stretches for specific activities or sports.